Kensington is a modern real estate theme which enable you to create an online property management system. It has two main features, those are online booking and property management. Additionally, Kensington is powered with page builder. Page builder will help you to build and customize your site without ever touching the code so you can concentrate fully on promoting or selling your properties. Compared to other real estate themes which bloated with unnecessary features, Kensington smartly powered with features that real estate website truly need. 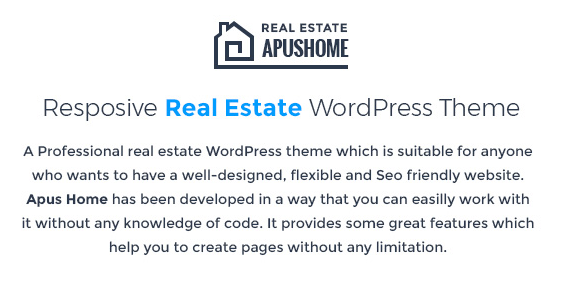 The reason why I love this theme is because it is simple yet powerful to build a real estate website. You will set up your website with no hassle. All of the features that real estate website need has been provided by this theme. 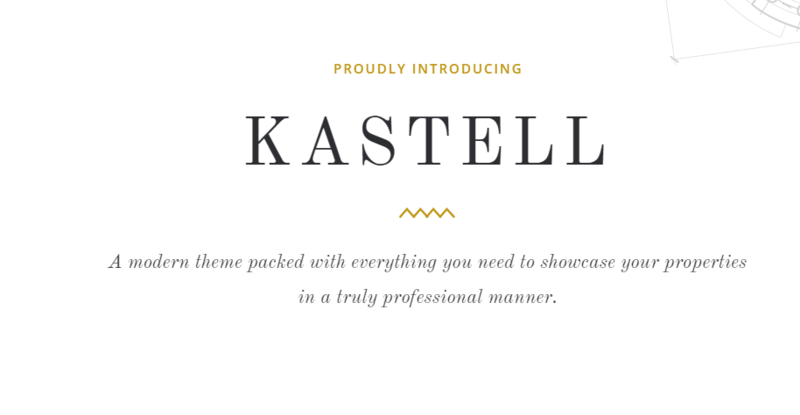 Kastell is a modern property wordpress theme. 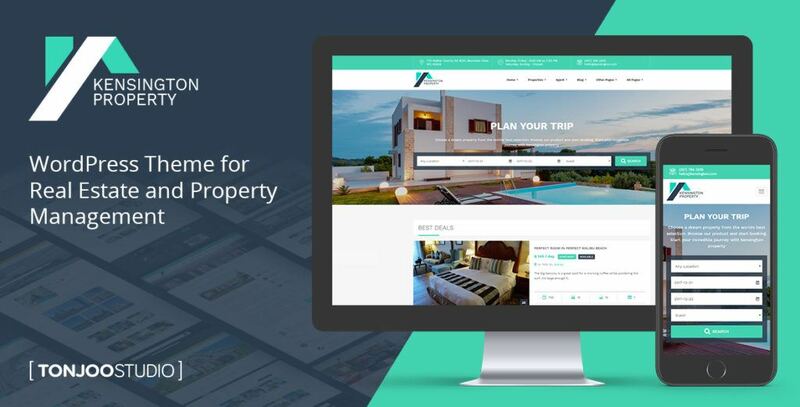 Kastell can serve wide variety property website starting from single properties, apartment complexes, agencies, business spaces, and realtor related websites. 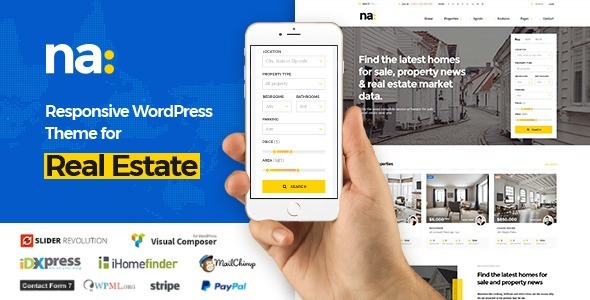 This real estate theme comes with a wide variety of beautiful lists and single property layouts, and many other attention-grabbing elements which is great for presenting your properties. Kastell comes with six fully customizable homepage layouts, an extensive admin interface, and many collection of inner pages, to fit your need. 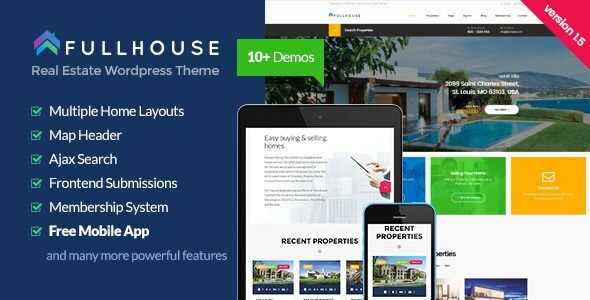 It is also powered with useful shortcodes like property slider, property fullscreen, property info text, animations holder, clients carousel, custom fonts, video button, image gallery, icon box, and many others. 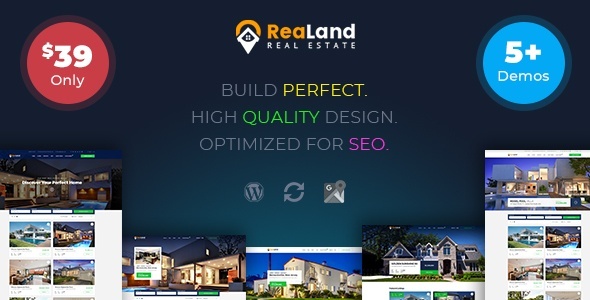 Realand is a professional real estate theme. It will help you as realtor to build your online presence profesionally. It can be used to sell houses and apartments, provide rental services, or create property listings. You can get money from your website with paid properties features. Realand has complete compatibilty with real estate plugnis. It supports iHomeFinder, dsIDXpress, Opal Estate Plugin, and Opal Membership. 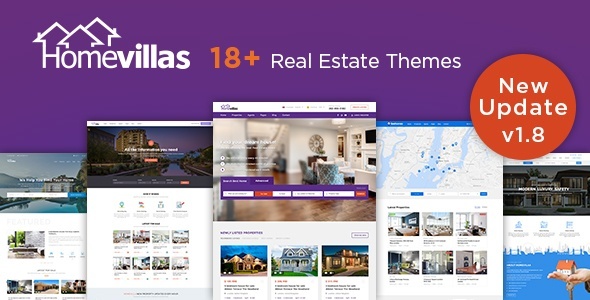 Real Spaces is a powerful WordPress theme designed for real estate business. This theme comes with brilliant theme features. The core features of real spaces is front end property submission. This theme allows agents to access their profile in the front end. 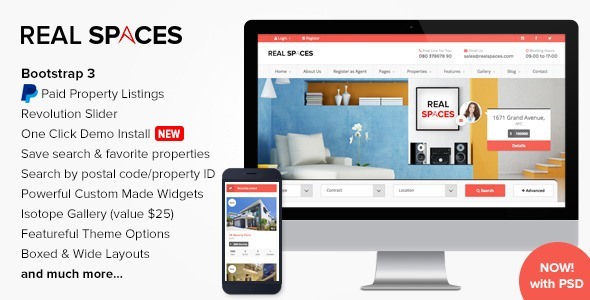 Real spaces offers users to register as buyer or seller(agent). Some other notable features are filter search result, save search, add properties as favorite, and compare properties. 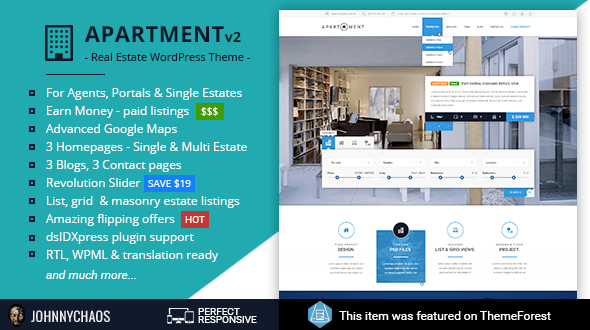 Apartment WP is a well perform theme. This theme has been given 5 star rating and made by elite author. This theme has no questions in quality. It will suit your need when building property agent, portals and single property website. It is good on UI because it has creative features called flipping offer map. Hover offer to make it flip to the map. By using this theme allows you to make front end submission for user. The account management up to three account types; owner, agent, and agency. you can also gather money from your users because it has paid submission features. 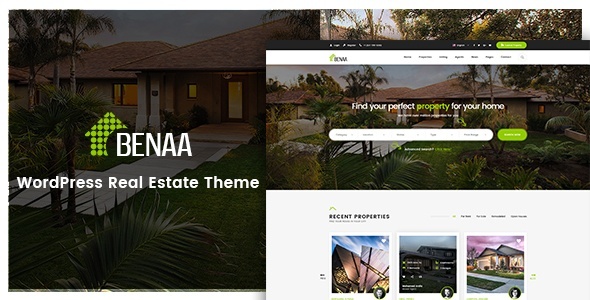 Benaa is a real estate wordpress theme which allows you to manage your properties via backend or front end. Users can directly submit properties from the frontend. It offers paid and free subscription features for monetizing your website. for the payment method, Benaa support up to three different payment method; paypal, wire transfer, and stripe. 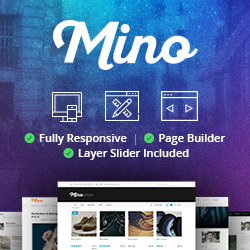 This theme comes with nice and clean design completed with flexible layout system which allows you create 14+ unique layouts. NA theme has been integrated with ihomefinder and dsIDXpress plugin. This theme claims has been oprimized for speed, SEO, mobile optimized, highly conversion rate optimization and unlimited customize. For monetization, NA supports property submission and has flexible membership system. Home Villas is designed to serve niches around real estate website. Home villas comes with 18 different design targeted to spesific niches in real estate industry. with Yelp places, it will help your visitor to decide best property as per location. Home villas has complete features for admin earn money. It has paid listings, ad banners and ad places. It is completed with auto expiry of listing on set date, limit on picture and document upload per package, featured listing, top category listing and charge for submission.